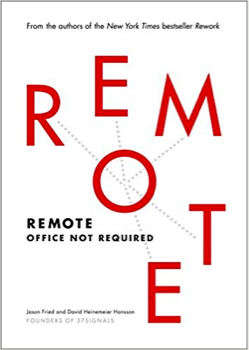 Are you considering working remotely or is your team located somewhere else? Remote work can take on different forms. With the challenge to hire more and more developers and digital talents, many companies move to other locations to hire people. To keep talents on board, businesses start to offer modern benefits to work outside of the office. 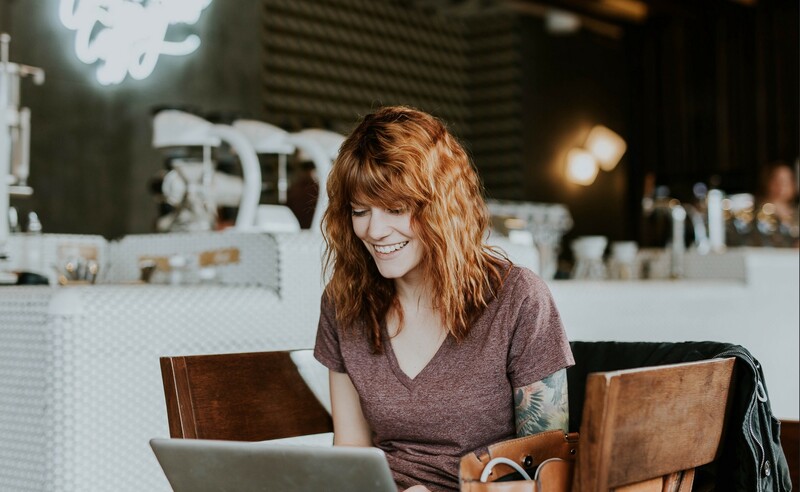 There are many reasons why remote work might also be the future of work. Applied correctly and by taking some tactics into account, working remotely can be a win-win for everyone. 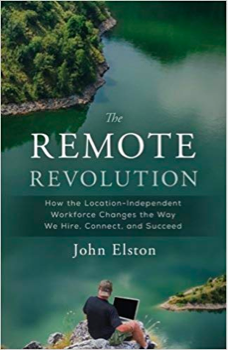 Remote work increases the talent pool, reduces turnover, lessens the real estate footprint, and improves the ability to conduct business across multiple time zones, to name just a few advantages. As Fried and Hansson explain the challenges and unexpected benefits of this phenomenon, they show why — with a few controversial exceptions such as Yahoo — more businesses will want to promote this model of getting things done. 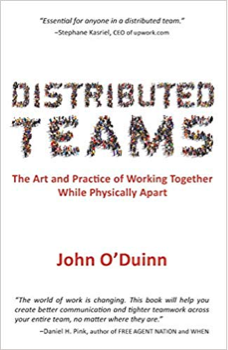 Drawn from 26+ years working in distributed organizations, this book gathers what did — and did not — work from my own hard-learned lessons,as well as learnings from company founders, hedge fund managers,software developers, data scientists, accountants, book publishers, economists, political organizers, recruiters, military personnel, executive assistants, therapists and medical technicians. 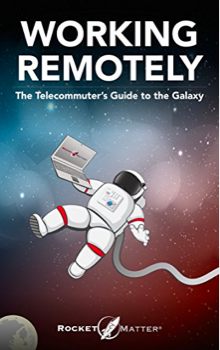 This book identifies the advantages of working from anywhere in the galaxy and explores how workers and employers can optimize productivity, streamline processes, and adopt best practices. 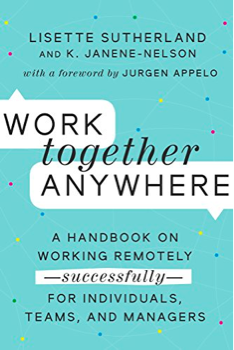 If you’re considering working remotely or moving your practice to all all-remote workforce, check out this book for insight and recommendations to help you along the journey. What happens when an old-school management guru leaves the books and lectures behind to lead a young team at a revolutionary company, with no email, no offices, and no rules? 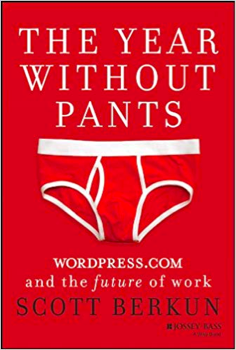 The answer is an amazing and entertaining book about the future of work. Employees work remotely, from wherever in the world they wish. 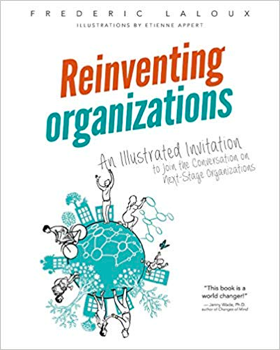 The uplifting message of Reinventing Organizations has resonated with readers all over the world, and they have turned it, one conversation at a time, into a word-of-mouth phenomenon. The book has helped shift the conversation from what’s broken with management today to what’s possible. It is inspiring thousands of organizations — corporations and nonprofits, schools and hospitals — to adopt radically more powerful, soulful, and purposeful practices. 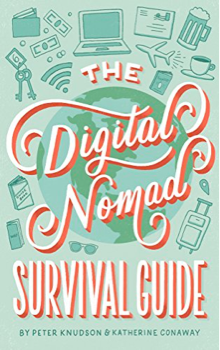 This book pulls together practical advice from our experience, conversations with 20+ successful digital nomads, and tips from hundreds of more nomads across 70+ countries. Included are packing lists, sample budgets, app recommendations, website suggestions, and more. In today’s modern global economy, telecommuting is no longer a novelty. Companies and organizations everywhere are embracing the game-changing benefits of allowing employees to work outside the office, and the results are profound: managers benefit by saving money and resources and by having access to talent outside their zip codes, while employees enjoy greater job opportunities, productivity, independence, and satisfaction — in part from the time saved not commuting. The reality is clear: working remotely can be a win-win for everyone. Is it hard to recruit exceptional talent? Are you struggling to retain and inspire the employees you have? It’s time to rethink hiring practices and examine a revolution that allows professionals to live and work remotely around the world, trading cubicles for experiences that leave them stimulated as employees and as people. 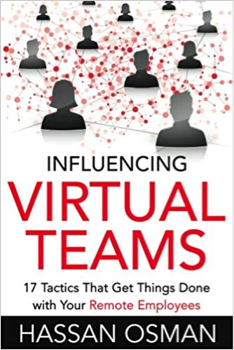 In Influencing Virtual Teams you’ll get step-by-step tactics that you can implement straightaway with your team to improve your team’s engagement and commitment to doing their work. It’s the twenty-first century, yet most companies maintain a twentieth-century corporate culture. Despite instant communication and collaboration through wireless computers and smartphones, employers needlessly rent or own office space. 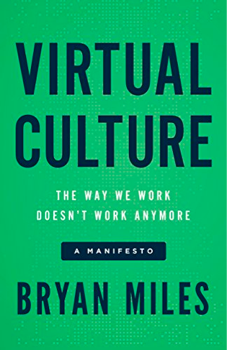 Bryan Miles has a reality check for you: the future of business is virtual, and it’s going to take more than technology upgrades for you to upgrade your workplace environment.